If you’re new to the world of paid search, it can be overwhelming. Pay-per-click (PPC) marketing – also known as search engine marketing (SEM) – is complex. It’s easy to blow through your budget and have nothing to show for it if you don’t know what you’re doing. Advertising formats: Text ads, Responsive text ads, Video ads, Image ads, Call-only ads, and so much more! Ad networks: Google AdWords, Bing Ads, Adroll, Gemini, etc. Terms and acronyms: Quality Score? Ad Rank? CTR? ROAS? CPC? That’s why we created PPC 101: A Complete Guide to Pay-Per-Click Marketing Basics. 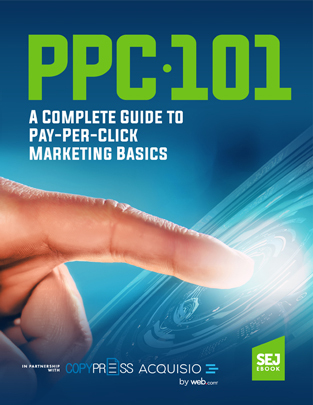 This in-depth ebook will guide you through the fundamentals and essentials of PPC. PPC, done right, is incredibly valuable for businesses and brands of all sizes who want to grow and be profitable. Want to drive more qualified visitors to your website who are further down the buyer funnel and more likely to convert? Paid search advertising can help you do that! 4.Is Conversion Lift the Future of Attribution?